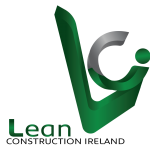 Lean Construction Ireland leads a community of learning and practice that promotes the application of Lean Thinking & Practices throughout the Irish Architecture, Engineering, Construction (AEC) sector so as to realise value-add for all stakeholders in the value chain. Promote the application of Lean Thinking & Practices in the Irish AEC sector. Develop a national network of members committed to the application of Lean Thinking & Practices. Challenge the status quo of current project thinking and delivery methods. Advance amongst all stakeholders the business case for Lean Construction knowledge and skills. In November 2018, Lean Construction Ireland (LCi) launched its inaugural Annual Book of Cases. This Book is the first of its kind in the world, and includes real world case examples from a variety of Irish organisations from across the Construction value chain. The Book provides an invaluable reference point for those interested in adopting Lean thinking and practices in Construction, as well as those further along on their Lean Journey. Please click here to view the freely available online edition.